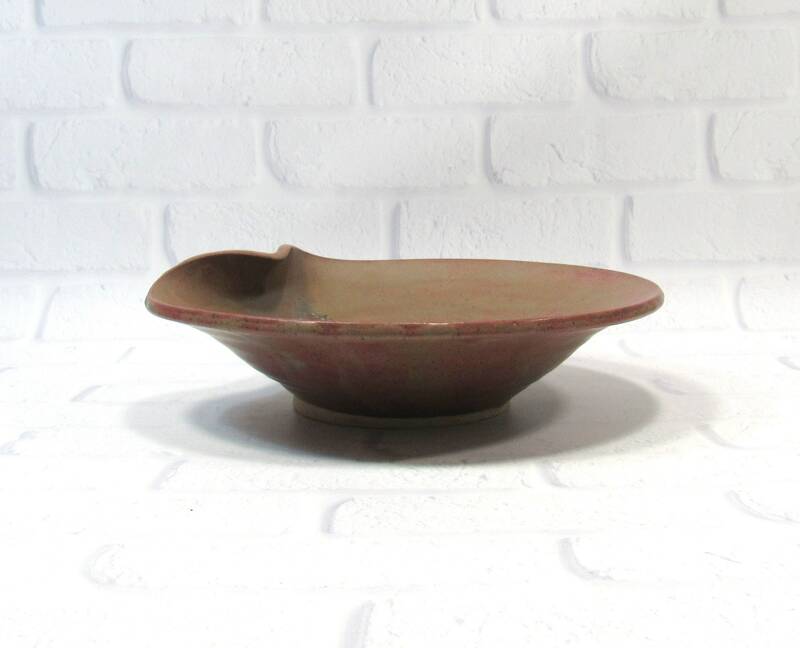 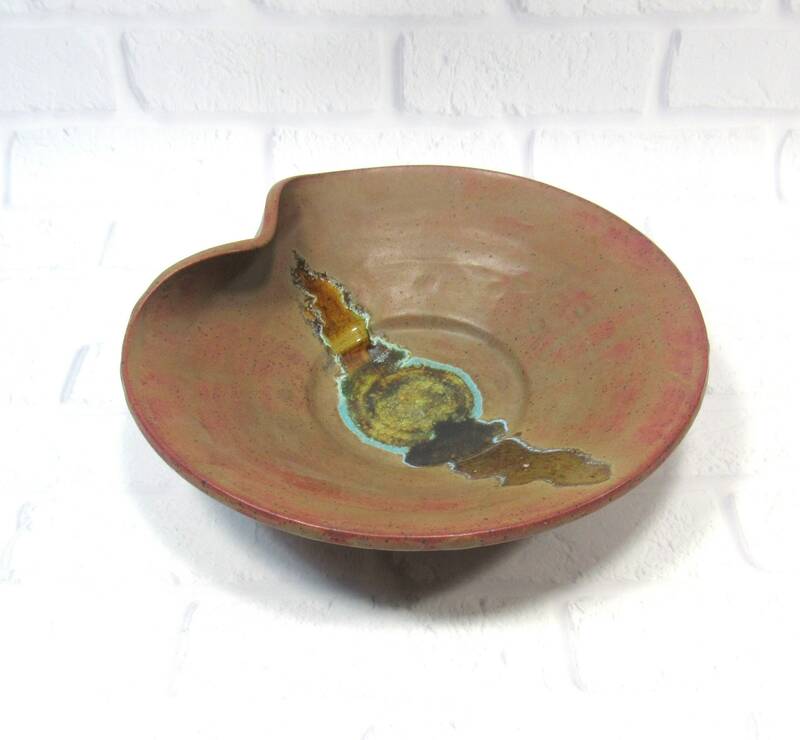 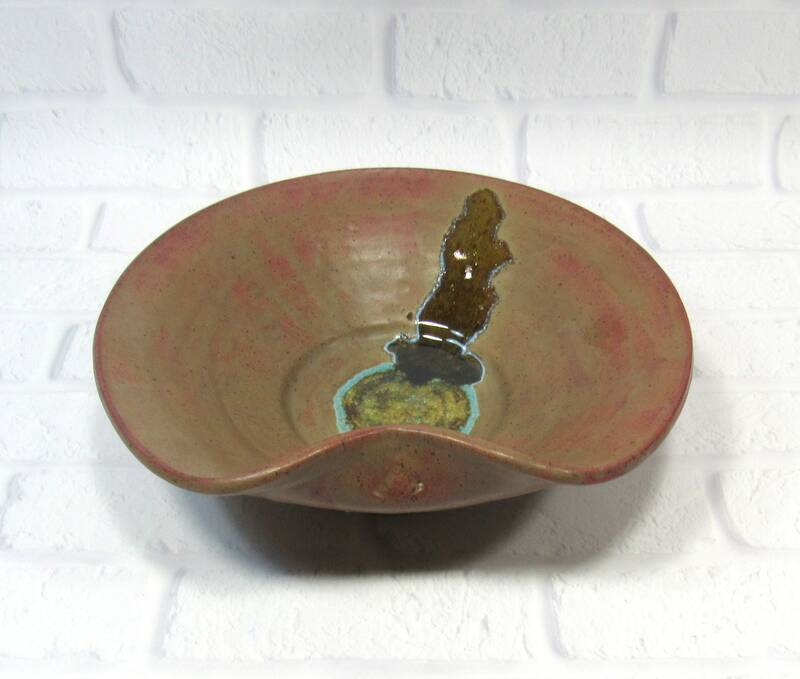 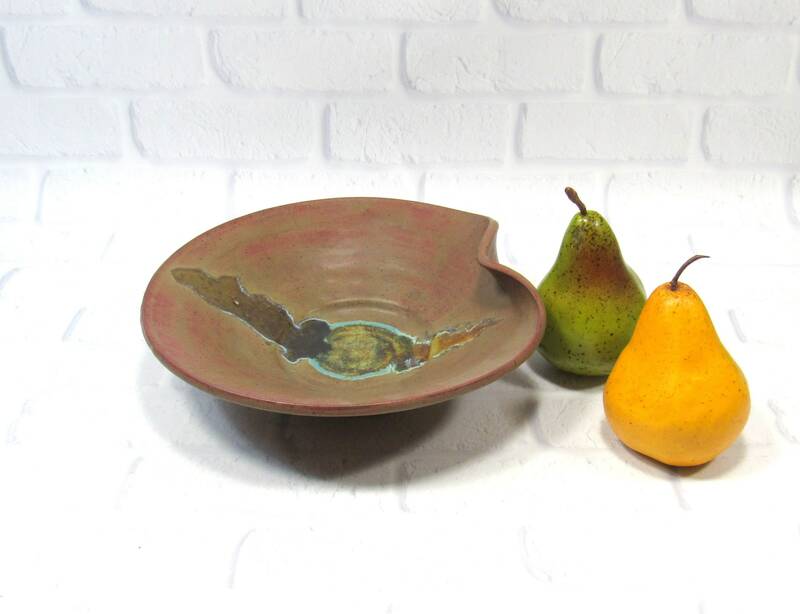 This decorative ceramic bowl will make a striking accent piece in your home. 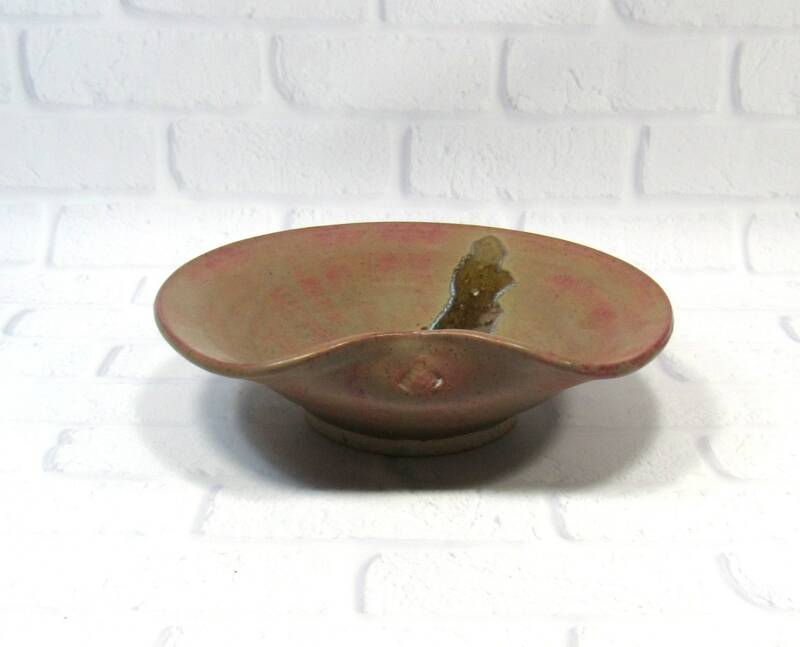 It is 9 inches in diameter and 2.25 inches tall. 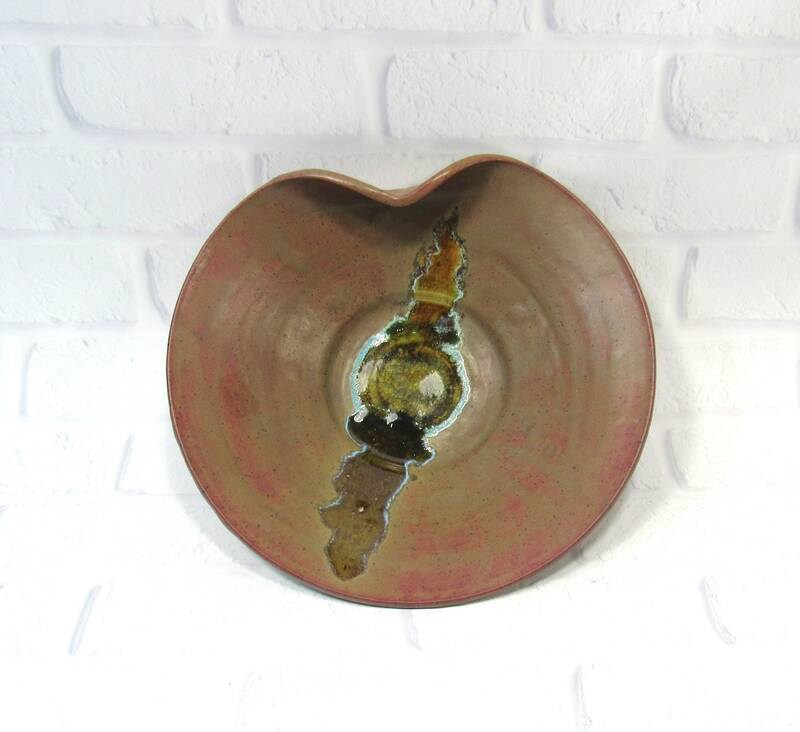 Use it as a centerpiece on your dining or coffee table, or as a dramatic focal point on your mantelpiece or hanging on a wall. 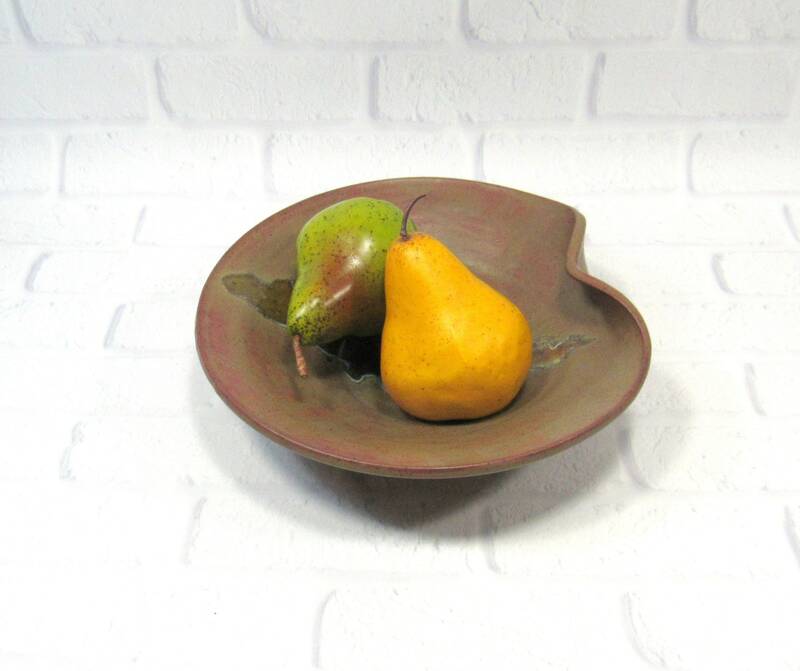 I made this bowl on the potter's wheel in my Virginia studio, altering the rim for added interest. 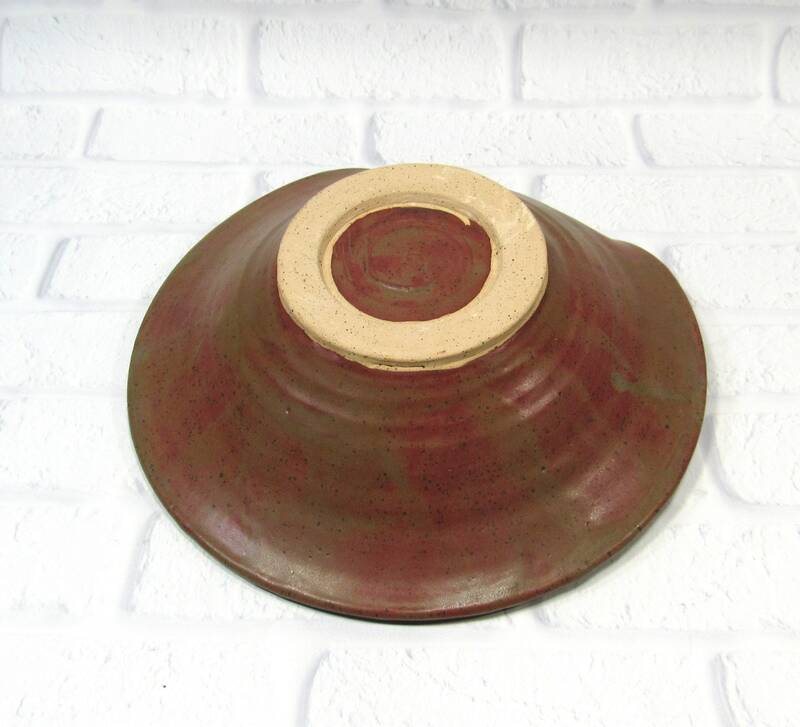 Once the clay was dry enough to handle, I trimmed a foot ring. 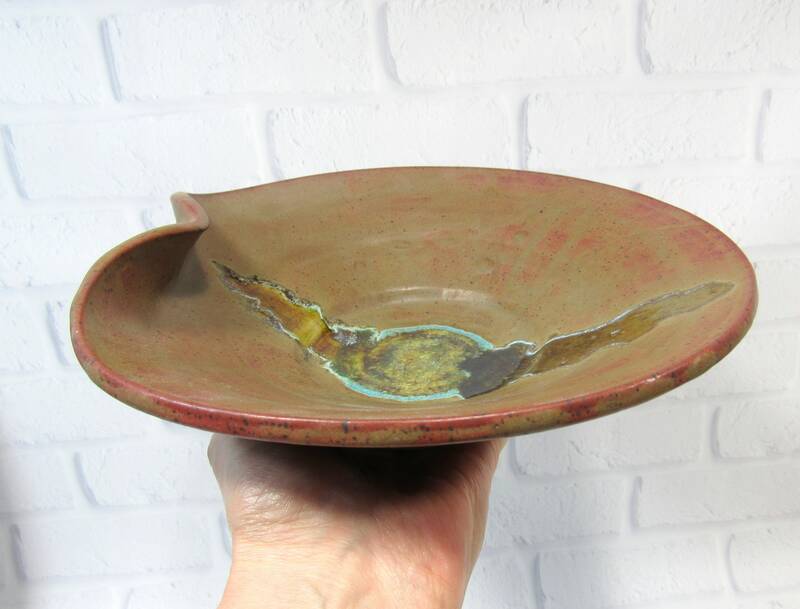 After the first firing, I glazed it in a flowing reddish brown glaze that turns various shades of brown/beige where it breaks or pools. 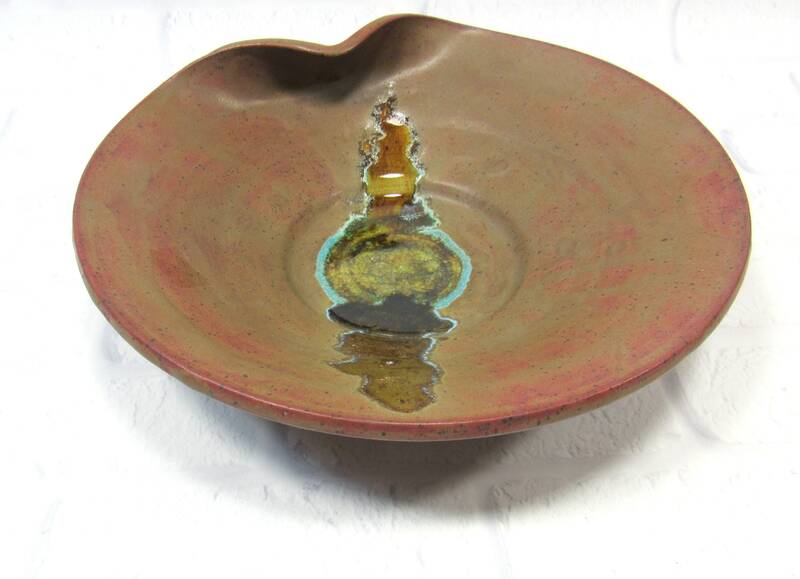 I melted different colors of glass across the center of the bowl, which picks up and enhances the hues of the glaze.